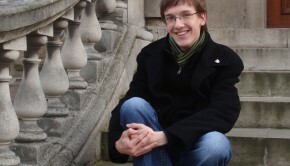 The freshy minted field of ludomusicology is still new enough that when it comes to academic discourse, there isn’t yet much of a foundation for scholars or students to work with. Authors like Karen Collins and Melanie Fritsch have contributed significant content, but each new work is still a valuable addition to the field. 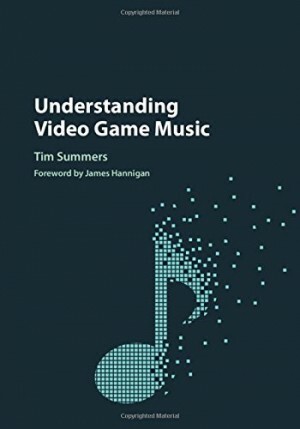 Before reading Understanding Video Game Music, the monograph by Tim Summers, the field was new enough to me that I wasn’t sure if I’d be getting a history lesson packed with 8-bit jargon, a music theory-and-history course, or a celebration and analysis of some of the more popular game soundtracks to date. However, I’d actually read Summers’ work before, and it took me a moment to make the connection. 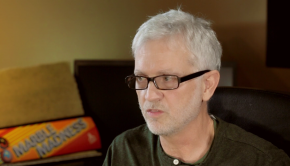 I first heard of Tim Summers while working on VGMO’s podcast with Simon Elchlepp, who provided an article while we were discussing game music and Hollywood scores. The article was called “From Parsifal to the Playstation: Wagner and Video Game Music,” and if that alliterative, tongue-in-cheek title makes you curious for more, then Understanding Video Game Music is the book you’ve been looking for. The introduction and Chapter 1 set up a series of boundaries for the genre – or, rather, it calls them into question. When we have a book discussing the music of games, what do we cover? Summers begins by pointing out topics that this discussion may include. Eastern and Western varieties of the same game may change up the music based on cultural relevance (Gran Turismo). Various ports of games may have different instrumentations, or instruments may be mislabeled across platforms (MegaMan X), and scores are now frequently being updated with live instruments, or “better” samples and programs (causing older sound systems to become first dated and then obsolete). This, in turn, leads to a unique attempt on the part of current game or game-inspired music to go through great effort to emulate the sounds of the original systems in games that no longer exist. Factors like these don’t even take into account the questions of how the player’s actions affect the music, or whether the tracks are designed to loop, layer, or play in waves, with stretches of silence in between. Summers even points out the opening sounds of the console itself (for example, a tuning orchestra as the player turns on the PS3), which is, after all, part of the musical experience of gaming. This kind of discussion was immensely satisfying, because while the book is not a long one (the epilogue concludes just before page 210), it is thorough, with game music being approached from all angles – musical, historical, technological, and philosophical. That being said, Understanding Video Game Music is surprisingly accessible for its wide range of approaches. When I received my copy, I was worried that the book would be above me – that it was going to be imbued with ancient sophisticated audio jargon I had no hope of following (as someone coming from a very casually classical musical background), or that it would incorporate remote soundtracks from all corners of the world I had never heard of, let alone listened to. However, it’s an enjoyable read that is just as accessible and relevant for those casually interested in ludomusicology as it is for those who have spent careers in the field. For example, Summers spends Chapter 7 discussing the role of Hollywood and classical music tropes in shaping a foundation for thematic content in game music. In this chapter, he breaks down the ways that themes are repeated to allow the player to associate a specific theme with a specific idea. The language used allows for readers even of minimal musical background to understand how thematic content might be recycled across a single game. Even if a character is only seen once or twice in a sixty-hour playthrough, Uematsu ensures that the theme is both distinct enough, and recycled enough in appropriate areas to make sure that the player will remember it when necessary (and in fact, I have had Shinra’s theme stuck in my head since beginning this paragraph). On the other hand, readers with stronger musical backgrounds may be more prone to expanding this line of thinking to contrast it with more ambient soundtracks, or the vastly different Western RPG thematic approach, or even with more classical leitmotifs. Perhaps the greatest strength of Understanding Video Game Music is in the infectious enthusiasm evident in each part of the book, leading to the kind of research that keeps the book incredibly relevant, even when discussing content not immediately congruent to my personal gaming experience. I’m not particularly familiar with the score to SimCity, but the excerpt of its score included in the text allowed me to follow along with Summers’ descriptions of the various kind of jazz the soundtrack incorporates. I’ve never put much thought into Loom, despite hearing a lot about it, but the screenshots of the game, and images of the staves (both wooden and musical) used by the protagonist allowed me to get more of a glimpse into how music is incorporated into the gameplay, and not just the background. I haven’t played Alone in the Dark 4, but the map included in the text allows me to see one of the levels in the game with notes drawn by the composer about where each change of music physically occurs as the player progresses. Even without having played those games, I have certainly played games with jazzy soundtracks, games that feature music as an essential gameplay component, and game scores that alter tracks or layers depending on the player’s location or situation, even within what seems like a single area. I can still apply these ideas to my own past and future experiences playing various games. In terms of its format, Understanding Video Game Music is divided into seven chapters, with an additional Foreward by James Hannigan, an epilogue, and several appendices. I have to make a note of my favorite appendix: an insightful outline for analyzing music in games, including the origin of the music, the genre and instruments used, the function of the music in the game, the use and absence of music in the game, and miscellaneous questions. Was the score completed before, during, or after the game? Does the composer primarily work in game audio? Does the music play a role in the game’s marketing? The first portion of the book is introductory, and includes definitions, brief histories, methods of analysis (genre, instrumentation, purpose, and so on). The second portion includes the role of music in building a virtual world (or a historical world, as the case may be for games like Age of Empires and Civilization), the role of music in guiding the player through various sequences of a game (inherently knowing that an area is cleared of enemies once the tense music dies down), and the role of musical tradition in building some of the greatest game themes we have today. The structure of the book isn’t linear; aside from occasional references to previously mentioned games, any reader of Understanding Video Game Music should have no problem reading in the same way I did: browsing through the table of contents to find a section that immediately piqued my interest (“Hollywood Film Music and Game Music,”), scouring the chapter, and flipping straight back to the table of contents and finding the next one to read (“Texturing and the Aesthetics of Immersion”). Understanding Video Game Music may not be for skimming, but it is an essential read for those who are vested in bringing ludomusicology into academia, and incredibly interesting for those who are simply interested in philosophical dialogues, personal anecdotes, or historical background regarding music and games. It is an expensive purchase – at its cheapest, it’s a $60-download from Google Books and Barnes and Noble, and on Amazon, it surpasses $100 with tax. Several of the outlets do provide previews of the book, so those on the fence about purchasing it can pursue through a few pages to individually determine if it’s worth the steep cost. Regardless, the text is certainly a worthy addition to the still-budding library of ludomusical discourse. Posted on February 1, 2017 by Emily McMillan. Last modified on February 1, 2017.